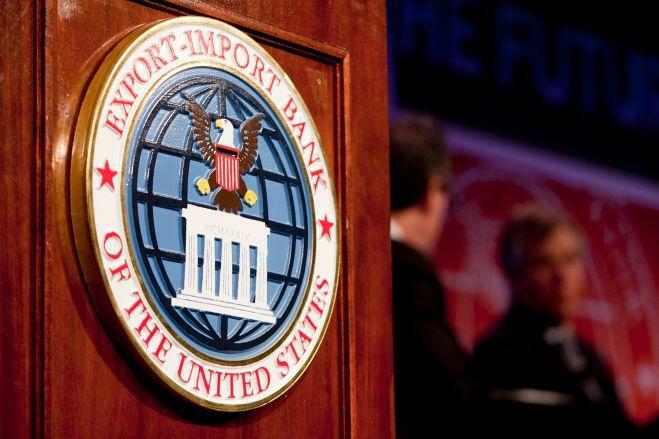 The Export-Import Bank of the United States (Ex-Im) operates under a renewable general statutory charter, and was extended through Sept. 30, 2019 by the Export-Import Bank Reform and Reauthorization Act of 2015, a surface transportation authorization measure. Enacted on Dec. 4, 2015, the measure lowered Ex-Im Bank’s statutory lending authority (“exposure cap” for outstanding portfolio) to $135 billion for each of FY2015-FY2019, and made reforms in a number of areas, including to Ex-Im’s policies or operations in risk management, fraud controls, and ethics, as well as to the U.S. approach to international negotiations on export credit financing. Despite its four-year renewal, Ex-Im is still facing some issues. Ex-Im Bank is led by a Board of Directors, which consists of the President of the Bank (who is also the chairman of the Board), First Vice President (who is also the Vice Chairman), and three additional directors. The Board authorizes the Bank’s transactions either directly or through delegated authority. All Board members are appointed by the president with the advice and consent of the Senate. Under Ex-Im Bank’s charter, not more than three members of the five-person Board can be of any one political party. Currently, the Bank remains constrained because the Board needs a three-member quorum to approve insurance, loans or guarantees above $10 million; currently the five-member Board only has two serving directors—three vacancies—and therefore, activity has been restricted to smaller-scale transactions since its reauthorization. Earlier this year, President Barack Obama nominated John Mark McWatters, a former aide to House Financial Services Chairman Jeb Hensarling (R-Texas), to fill one of the vacant Republican seats on the Ex-Im Bank’s Board of Directors, but Senate Banking Committee Chairman Richard Shelby (R-Ala.)—an opponent of the Bank—is in no rush to move on it and recently blocked possible floor action. On May 23, House Democratic Whip Steny Hoyer (D-Md. ), along with House Financial Services Committee Ranking Member Maxine Waters (D-Calif.), Monetary Policy & Trade Subcommittee Ranking Member Gwen Moore (D-Wis.) and Rep. Denny Heck (D-Wash.), sent a letter to Chairman Shelby urging action on the confirmation of Mr. McWatters to a four-year term serving on the Board of the Ex-Im Bank. The letter called on Chairman Shelby to allow the Senate Banking Committee to vote on Mr. McWatters’s confirmation in order to advance it to the full Senate. The letter was unsuccessful because on June 9, Chairman Shelby blocked a Senate Democratic attempt to get a full Senate vote on the nomination of Mark McWatters. Democratic Sens. Heidi Heitkamp (N.D.), Maria Cantwell (Wash.), Chuck Schumer (N.Y.), Patty Murray (Wash.) and Joe Donnelly (Ind.) took to the Senate floor and asked unanimous consent that the Senate hold a vote on nomination, since Chairman Shelby has refused to schedule committee action. Unsurprisingly, Sen. Shelby objected, blocking the action. NSBA has long supported Ex-Im Bank as it helps U.S. companies, including small businesses, sell their products overseas, create jobs for American workers, and grow the U.S. economy. NSBA has signed onto letters urging the Senate Banking Committee to move swiftly to consider this nomination, since without a fully operational Board; exporters are at a significant disadvantage when competing with foreign businesses that have the support from their own export credit agencies (ECAs).